Once you make the decision on the method of transportation to use to ship your car, you will have one final decision to make. That is the decision whether to use enclosed or open transport. It is critical to research each one and weigh the costs, benefits, and risks before making a final decision. When using enclosed transport, your car is being stored in a protective environment where it will not be exposed to the elements such as sun damage, rain, etc. Dirt and debris encountered during the journey pose no risk to your car. This is the advantage of using enclosed transport. The disadvantage of enclosed transport is that it tends to be quite a lot more expensive than open transport, due to the extra resources it requires, such as a truck with a closed trailer. Another disadvantage is that the driver has little or no chance to visually check that no damage has been done to the car during the trip. 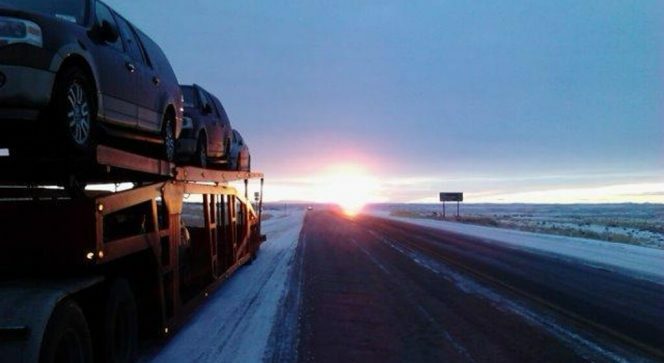 If you choose open transport, your car is shipped on an open trailer, which exposes it to risks such as hail, damage from stones and excessive moisture from rain. This is the disadvantage of using open transport. Another form of open transport is called ‘driveaway.’ This is when the transport broker uses an employee to drive your car to your new destination. Trained, evaluated employees are carefully screened before they are given such a responsibility. The disadvantage is that your car is still exposed to the elements, and there is the additional mileage that will be added to the car during the journey. Generally, open transport is advantageous in terms of cost. It is by far less expensive than enclosed transport. Driveaway is even cheaper because there is no equipment such as trucks, trailers, etc. used. In the case of open transport, the car is visible continuously, so it is easy for the driver to assess any damage that has occurred and report it immediately. Due to the different nature of enclosed and open car transportation, it is obvious that the cost difference will be substantial. That is why you should weigh the costs against the benefits and risks. For example, to transport a vintage car or luxury vehicle, enclosed transport would be the most effective choice. This is because getting the required parts to repair a vintage car could be difficult, and in the case of a luxury vehicle, very expensive. When it comes to transporting the family car, most people opt for open car transport as it costs less. There is little risk if you take precautions to protect your car such as waxing it to protect it from the elements. Shippers keep a close eye on the weather forecast and warn drivers to take the necessary precautions in the event of bad weather. What is the Door to Door Transport?